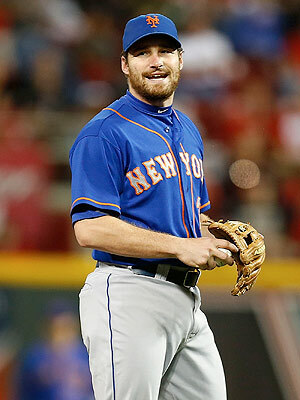 Is Daniel Murphy running out of time? During today’s 8-2 victory over the Yankees, I was having a discussion with two fans on Twitter who said that the rope on Daniel Murphy is running low. This comes after Murphy’s three major errors that seemed to be brain-lapses, all happening at critical stages of each game. Murphy’s batting average has also been below 150 throughout the season. Looking over his shoulder, Dilson Herrera, who was not impressive in a brief stint with the big club last year, has been preforming well in Triple A, as is Matt Reynolds, who could easily slide over to second base. Murphy is one of my favorite players, but I just don’t see how Murphy is on the 2016 Mets. With so much talent behind him (I believe Reynolds will preform better then Herrera, who hasn’t look sharp up here), and with this being the last year of his contract, AND coming off an all-star year, which should drive up his price point, Murphy doesn’t make sense for the Mets as an investment. Murphy has always aspired to do great on defense, and has worked harder than anyone else to improve his defense, but a man can only play so well, and Murphy just cannot be an everyday second baseman. There are thirty teams in Major League Baseball, and 66% of the teams are a fit for Murph, the Mets are not one of them. That being said, today, he is wearing a Mets uniform, as he will be for the rest of 2015. Murphy will hit sooner or later, don’t worry about that. He has always been one of our most productive hitters and letting him get back into a groove after an injury will take time, but worthwhile. Now, the Mets should not trade anyone for Murphy come deadline, baring an early Summer collapse, only because Murphy is more valuable to the 2015 pennant race chasing Mets than a mid-range prospect and a reliever is in five years. You don’t know what this team will look like in five years. As I’ve said the last two years on this blog, Alderson isn’t a buyer or a seller, he is a stand patter, so I am 100% positive Murphy is going to be given every opportunity to come through for this club in 2015, and then not get offered a contract in 2016. Murphy’s numbers so far even with the small sample is the most surprising underperformance not only for the Mets but for the whole MLB.